Every day, companies compete with other companies to survive and succeed. Competitors have the same goal: to win. This is why management needs to think carefully about how to get ahead – businesses need to develop winning strategies. It’s hard to do this. If the strategy is wrong (and this includes not thinking about strategy at all), a business will fall behind its rivals, and it may never recover its position. 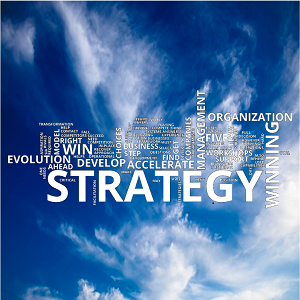 However, get strategy right, and an organization can pull ahead of the competition. So, how does one develop a winning strategy? The Five Step Strategy Model framework used by the Accelerate Evolution team helps decision makers to select the right strategic approach for their organization. They can then make operational choices that support their strategy. Contact us to find out more about how we can help your organization transform its operations and develop a Winning Strategy.